Well, what a journey. 24 beers from around the world in a variety of different styles. This process has given me a great deal of insight into brewing and breweries around the world. I feel I have learned a great deal and I respect and appreciate beer a lot more than I did before this. I certainly hope I have been able instill in some of you the same sort of sense of appreciation. 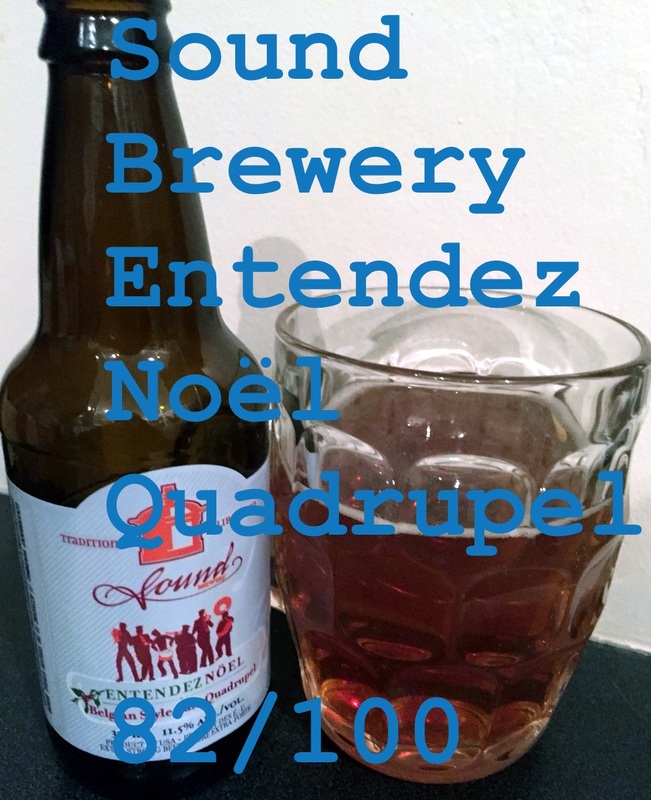 The beer that has been given to us for the very last beer of this calendar is the Entendez Noël Belgian Quadrupel. Sitting at 11.5%abv this is certainly a strong beer, bordering on a barley wine that promises to bring a good bitterness along with the warmth of malt. Sitting at 50 IBU it is certainly up there with a good hoppy IPA for bitterness and having been brewed in the Belgian style, it promises to be a strong upfront beer with lots of complexity. They’ve used Trappist yeast, Belgian Pilsner malts, cane sugar, and Motueka hops. I have one more post that I will do for the Advent Calendar. I will be summing up the 24 beers we have tried indicating their styles, location, and choosing my overall favorite.